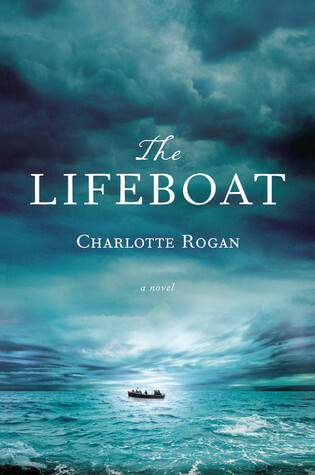 From the moment I heard about The Lifeboat, i knew I wanted to read it. There are so many stories about shipwrecks (mostly the Titanic, which this is not about), but not so many on survival in a lifeboat and the tough choices that have to be made. And those choices were tough. I really let myself get lost in this novel and it was not an easy thing to do. Their situation was dangerous and suspenseful. There were so many times that all the people on that lifeboat did not do that right thing, but it is easy to see why. Sometimes you can’t do what is right, you must do what you can to survive. The main character was interesting. I didn’t find Grace likable, but I found Grace fascinating, especially in a time where women didn’t have many options. She could be manipulative to get what she wanted, but she was also very naive to the rest of the people for much of the time. I didn’t like her, but I wanted to know more about her. I wish I had seen what some of the other women thought of her. I was really fascinated by the gender issues of the book. Really, that was how this book centered on – how men and women reacted to those in power. Gender had everything to do with why it even went to a trial. The jury and the rest of society expected women to act one way, so when they didn’t society wanted to punish them, even if they were only trying to survive. It was an enjoyable book, it should probably have three and a half stars. I took it down a little because it was very slow at times and I thought it could have been a little bit deeper. BEA is this week and I know a lot of my favorite bloggers will be there, so I wanted to share my plans, which are not as exciting this year. I will be at BEA on Thursday. I am going to a publisher’s breakfast that morning, then heading over to Javits. Where I have meetings for work almost all day. Which is a VERY good thing. I need to meet with all the publishers I work with that are not in NY, but it is a ton this year and they are almost all back to back. at one point, I have to go form a booth in the 900s to a booth in the 2800s. So i will be running around a LOT, I will also not have a blogger badge, my badge will be a different color and have my full name, Catherine. That said, if you see me, PLEASE stop me and say hello! I do have a couple of quick breaks and will miss out on a lot of author signings, so I am hoping to meet some people. That night, I have a party to go to that anyone young publishing is invited to Young in Publishing’s BREA on a Boat. To find out more and RSVP head over to their website – http://youngtopublishing.com/2014/04/bea-on-a-boat-2/. Friday, I get to go to work, but if you know of any events going on after, please let me know! I had been looking forward to this book for quite some time – the whole idea of it sounded fascinating and I had heard some wonderful things about the book. In the end, I was underwhelmed. It was a very quiet book, but lacking the beauty that can make a quiet book really good. Saying it is a psychological suspense is really pushing the definition of that term. There were aspects i liked. I was always interested when Frances was at work/ Watching her relationship with Polly was fascinating because Polly was so interesting. Frances was just fine. She wasn’t very interesting or cunning. It felt like she thought she was being so clever so often when she wasn’t. Overall, it was a fine quick read, but nothing I would really recommend to others. Against all odds, this grass-roots rebellion is violently successful. But nothing is simple. Little Bao is fighting for the glory of China, but at what cost? So many are dying, including thousands of “secondary devils” – Chinese citizens who have converted to Christianity. China, 1898. 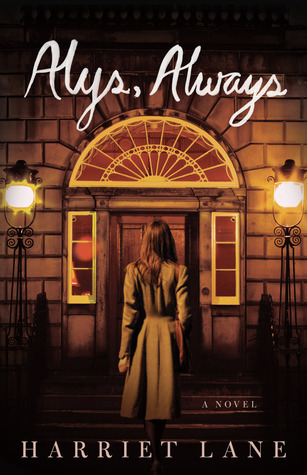 An unwanted fourth daughter, Four-Girl isn’t even given a proper name by her family. She finds friendship—and a name, Vibiana—in the most unlikely of places: Christianity. But China is a dangerous place for Christians. The Boxer Rebellion is murdering Westerners and Chinese Christians alike. Torn between her nation and her Christian friends, Vibiana will have to decide where her true loyalties lie . . . and whether she is willing to die for her faith. These are two separate books, but I am just writing one review since i read them back to back. Now I don’t really like graphic novels. I have tried MANY and it just isn’t a format I usually enjoy. I tend to find myself thinking “This would be better if it was just a novel”. That is not the case for Boxers and Saints. It is a great graphic novel and it needs to be a graphic novel to give readers the sense of place and culture. I admit, I knew almost nothing about The Boxer Rebellion going into this and that it was a graphic novel really helped me get it more. The story is fantastic because while it is presented as a legend about something that actually happened. It is really exciting and the illustrations add so much. I never would have been able to imagine the gods on my own. 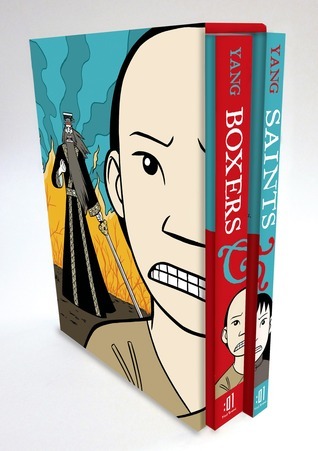 I am so glad i read this set of graphic novels and highly recommend them to anyone who loves legend or history. I read this entire series in under a month, so I was having a really hard time writing a review for each and trying to remember what happened in the individual books, so I decided to review the series without spoiling too much. So there may be vague spoilers, but as all readers know there are three books, it is nothing that will keep you from enjoying the series. First things first – GO READ THIS SERIES. 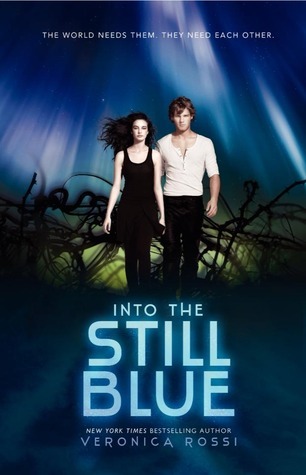 If you have any interest in YA dystopian/action/romance, this is a series for you. Just stop reading my review, go to your local bookstore or library, and get the first book. It is that good. And be glad you waited until the entire series was done to read it because you get the entire thing at once without waiting. I adored this series. Perry and Aria are fantastic. They are strong, smart, caring, and so well-rounded. They are thrust into their leadership roles and aren’t always perfect, but they are always looking out for each other and all the others that are with them, even when it is hard. It is one of those dystopian worlds that you could see happening in the future. It isn’t our world in the near future, but if things don’t get under control, some of it could happen. And that is scary. Every time I read a plausible dystopian book, I try to cut down on my energy consumption a little more. I am not cut out for any of these worlds. The villains are also so realistic that it is a little bit scary. The thing is, while they are obviously the bad guys, it is easy to see why they do the terrible things they do. There are no simple decisions in this world. Leaders have to make tough choices and it makes them do some really terrible things. The romance in this series is awesome, and not just the primary one. There are a few incredible relationships that feel genuine and realistic. There isn’t really that annoying insta-love. There is some insta-attraction, but no one mistakes it for finding “the one”. 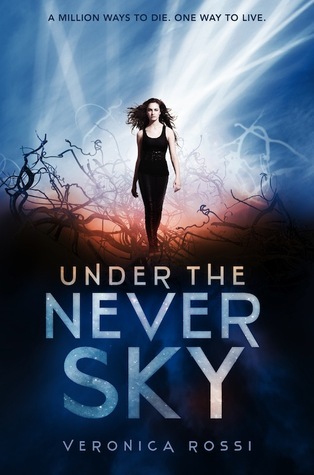 If you are looking for a series you can read all at once, take a look at Under the Never Sky – it has everything a good young adult dystopian series should have. There is so much fantastic contemporary fiction this year. Some are fun summer books with romance and happiness. Some are like this, full of heartache and what-if. Both Monroe and Nathan have baggage. The worst kind of baggage you can have and they have a summer to try to come to terms with it. It isn’t easy. It is some of the hardest things either will ever have to do. It is real. It is genuine because things happen and people get hurt. But forgiveness will come, not from just the others, most importantly from themselves. This is such a moving book, but it isn’t just a serious and sad book. There is some romance. But it isn;t your love at first sight romance, it is more the getting to know you over time romance, the kind that feels authentic and true. 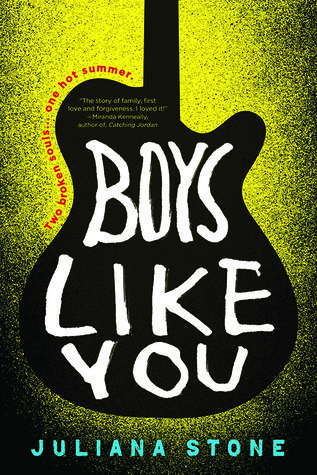 This isn’t the book to take to you to the beach this year, but it is a book you should read if you want to read about characters that feel as real as your closest friends. Even under the most normal circumstances, high school can be a painful and confusing time. Unfortunately, Lilianna’s circumstances are anything but normal. Only a few people know what caused her sudden change from model student to the withdrawn doomsayer she has become, but her situation isn’t about to get any better. When people begin coming down with a quick-spreading illness that doctors are unable to treat, Lil’s worst fears are realized. 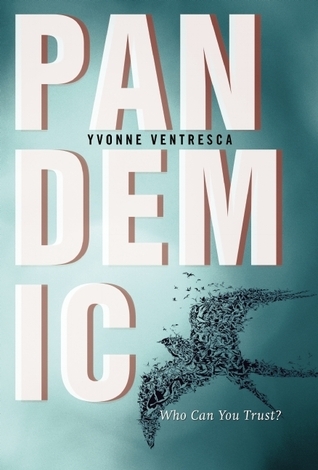 With her parents called away on business before the contagious outbreak—her father in Delaware covering the early stages of the disease and her mother in Hong Kong and unable to get a flight back to New Jersey—Lil’s town is hit by what soon becomes a widespread illness and fatal disaster. Now, she’s more alone than she’s been since the “incident” at her school months ago. With friends and neighbors dying all around her, Lil does everything she can just to survive. But as the disease rages on, so does an unexpected tension as Lil is torn between an old ex and a new romantic interest. Just when it all seems too much, the cause of her original trauma shows up at her door. This is such an emotional read. I used about a third of a box of tissues when I was reading it. While it is incredibly sad, it is also moving and manages to have some hope. Lilianna is such an incredibly complex character. She is so smart and caring, but something happened at the end of last year and it shook her confidence and her core. I am glad young adult authors are showing that when certain things happen to you, it is hard to just go on with your life. Some things change you and it is not easy to just get back to normal, especially when you have one of your best friends abandon you in your moment of need. There were so many deaths and sudden illnesses that made me cry and hurt, but the things people did to each other hurt just as much. One thing that makes this book a little terrifying is that it could easily happen. This is the “worst case scenario” for diseases like H1N1. Most people who get it die. There are refrigerated trucks that are used to hold bodies. There are looters everywhere. It is terrifying because it could happen. So if you are a hypochondriac, do not read this book. But there are also people doing good. There are high schoolers bringing in orphaned children and babies. Some are finding the abandoned animals. The health care professionals are working around the clock to save those they can. Disasters can bring out the best and the worst, and this shows how there can be hope in even the darkest times. This is a really great book, my only issue was the romance. I liked their relationship, but I thought the story about them becoming friends was much more interesting. It felt a little unnecessary, like there was a romance because this is young adult and we need one. This is still a great book that feels very realistic from the characters to the situations. Unless you are a hypochondriac, you should read this. 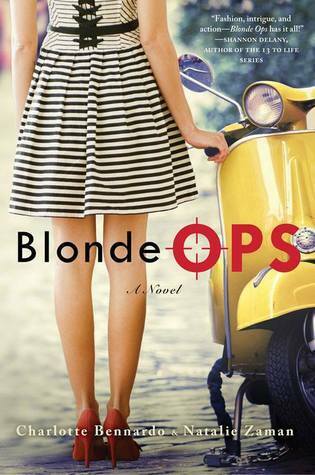 Expelled from yet another boarding school for hacking, sixteen-year-old Rebecca “Bec” Jackson is shipped off to Rome to intern for Parker Phillips, the editor-in-chief of one of the world’s top fashion magazines. But when a mysterious accident lands Parker in a coma, former supermodel and notorious drama queen Candace Worthington takes the reins of the magazine. The First Lady is in Rome for a cover shoot, and all hands are on deck to make sure her visit goes smoothly. Bec quickly realizes that Parker’s “accident” may not have been quite so accidental, and when the First Lady’s life is threatened, Bec is determined to uncover the truth. On top of that, Bec must contend with bitchy models, her new boss, Candace, who is just as difficult as the tabloids say, and two guys, a hunky Italian bike messenger with a thousand-watt smile and a fashion blogger with a razor-sharp wit, who are both vying for her heart. Can Bec catch the person who’s after the First Lady, solve the mystery of Parker’s accident, and juggle two cute boys at the same time? This book is the perfect fun summer read. It’s got danger, traveling to a foreign country, and cute boys. What else do you need in a book that you should take to the beach? 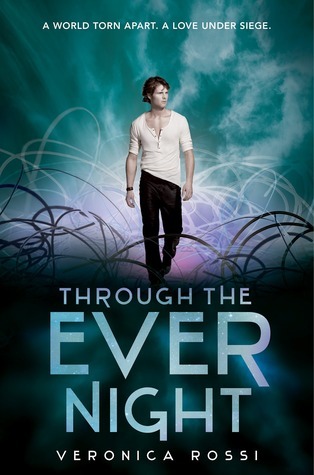 I had so much fun reading this book! Bec is a super cool character. She is smart and funny. I would totally want to hang out with her, especially if it was in Rome. If you like fashion, there is probably a lot you will appreciate that I didn’t in the everyday talk at the magazine. If you are like me and don’t really care, it isn’t so much that you are uninterested in the book. No matter which side you fall on about fashion, you will want to spend some time with the amazing people who work there. Their lives did seem really glamorous when no one was trying to kill them. The mystery kept me guessing – I had no idea who to trust. It made for a fun and action-packed book that was never too obvious. It was nice to see that the adults weren’t a bunch of bumbling idiots, which happens often in mysteries for YA readers. If you are looking for a book to take with you to the beach or on vacation this summer, this is the book for you!